Last month, the return of Ultra Japan to Tokyo provoked the usual eye-rolls with its parade of EDM superstars gallivanting onstage to obviously pre-recorded sets. But trust Takahide Higuchi — the Nagoya-based producer better known as Shokuhin Matsuri aka Foodman — to see the funny side. Before the Warp Records heavyweight sends his lawyers calling, it’s worth noting that Higuchi doesn’t mean this as a criticism. Both in person and in his music, he delights in seeing what happens when things are done wrong, reveling in the creative potential of mistakes and mistranslations, and generally making a hash of it. Yet he still sees footwork as the basis for what he’s doing. 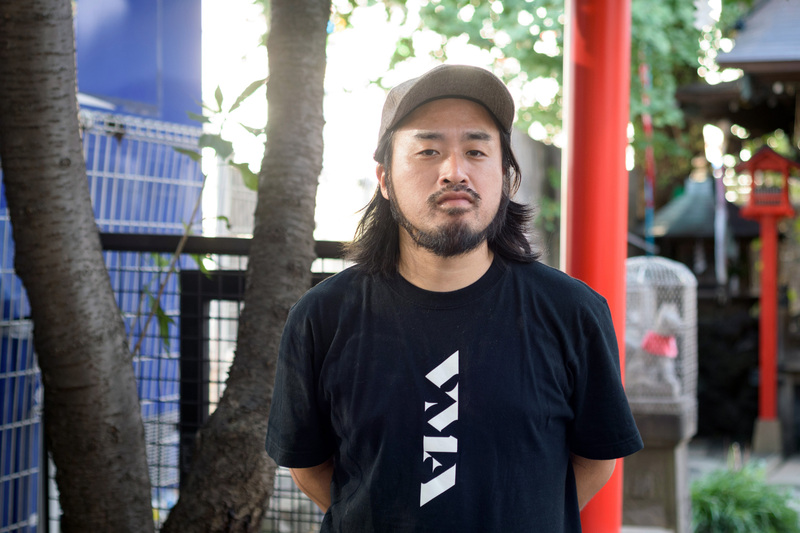 Higuchi’s first encounter with footwork wasn’t over a club PA but via laptop speakers, meaning that he heard the music’s abstracted rhythms and samples without the seismic bass that binds everything together. That initial experience continues to inform his approach. 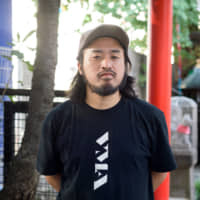 On new album “Aru Otoko no Densetsu” (loosely translated as “One Man’s Legend”), he all but abandons the low end that’s an integral part of most club music, footwork or otherwise. It’s an extension of the methods he’s used when playing live in Europe and the United States over the past couple of years. If that sounds like an exercise in confrontation, the album itself — released on Sun Ark, the label run by American musician Cameron “Sun Araw” Stallones — is surprisingly warm and inviting. Higuchi drew on a variety of inspirations: Opening track “Kakon” is a deconstructed piece of poemcore, a micro-genre pioneered by Japanese artist Bool that uses spoken poetry as the framework for tracks; the loping “337” is based on a Japanese clapping rhythm often heard at baseball matches and on festive occasions. Closing track “Mozuka,” featuring vocals by London-based artist Pillow Person, incorporates elements of traditional Okinawan music while seeking to evoke what Higuchi calls the “shamanic” atmosphere of the former Ryukyu kingdom. His mother comes from Okinawa’s Ishigaki Island, and he spent a year living there as a child, but he says this is the first time he has directly referenced it in his music. “When I looked around, I realized that saunas are really big in Japan at the moment, especially with young people,” he says. There are sauna conventions, sauna-themed manga (Katsuki Tanaka’s “Sado”) and an outdoor sauna festival in Yamanashi Prefecture that’s “like a rave, but with saunas.” Earlier this year, he and fellow enthusiast Taigen Kawabe (of London-based rockers Bo Ningen) even contributed a track to a sauna-themed music compilation, under their Kiseki alias. The therapeutic effects of Higuchi’s sauna obsession are audible in the relaxed tone and melodicism of the album. “Aru Otoko no Densetsu” doesn’t have an overarching concept like his previous full-length, the more pointedly experimental “Ez Minzoku,” which conjured a futuristic version of Rastafarian Nyabinghi music using flimsy MIDI instrumentation. The visual metaphor is an apt one. The album takes its title from a manga comic that Higuchi drew while he was at elementary school (“I wanted to try making something with that same sense of freedom,” he says), and comes with a booklet of illustrations that he created for the release. They’re a series of colorful, primitivist abstracts drawn on kraft paper, like Bill Traylor after a dose of psilocybin — or a lengthy sauna session. In their playfulness and naivete, they make a good complement for the music.